History: Most of the country calls it soda. In the south it’s often referred to simply as “Coke,” and you have to specify your desired flavor. But up north, it’s pop. Or so-duh pahp. Detroit, Michigan’s Faygo is one of the original gangsters of soda pop. It’s been making the stuff since 1907 when Russian immigrants Ben and Perry Feigenson started the company. Over the years its image has morphed from highly nostalgic and retro to bright and quirky. Faygo Marketing Specialist Dawn Burch tells us the company now makes over 60 flavors of soda. All the classics are there, but where Faygo catches your eye is with its flashy flavors like Cotton Candy, Ohana Kiwi Berry, or Rock N’ Rye. Burch says the brand’s popularity is in large part because they “offer flavors that other companies are scared to try.” Oh, and I guess we should acknowledge the elephant in the room. The rebellious, face-painted, socially miscast elephant in the room. Yeah, this is that brand. The one associated with the band Insane Clown Possee and its legion of fans known as Juggalos. To be fair, Faygo has no official partnership or affiliation with the group. Burch goes on to tell us groups of these Juggalos will call the company ahead of time to request gallons of Faygo to be sprayed on each other during events like family outings and weddings. The call them “Faygo baths.” Suddenly that family barbecue I wanted to skip this Sunday doesn’t seem as bad anymore. Now while Faygo produces over 60 different flavors, only six of them are made in glass bottles with pure cane sugar. The rest are made with high fructose corn syrup. Its retro line includes perhaps its two most famous flavors: Red Pop and Rock N’ Rye, as well as Grape, Root Beer, Cream Soda, and Orange. Burch says Faygo “definitely sees the line growing in the future,” but for now the company is committed to its six core old fashioned flavors. And it doesn’t get more retro than grape pop. That’s what grandpa used to drink, among other things. (A LOT of Irish whiskey). We wanted to see how Faygo’s offering in the category stacked up. 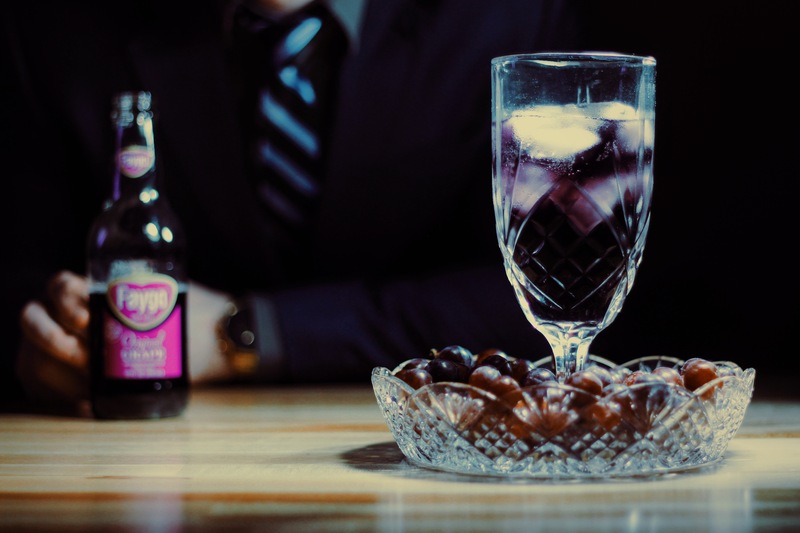 “Faygo Grape is one of our original flavors and it’s definitely one of the most popular. 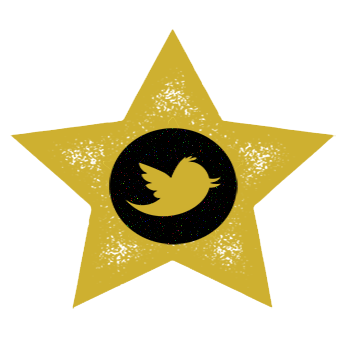 The strong flavor and aroma make it a fan favorite,” Burch gloats. Faygo also makes a corn syrup, plastic-bottled version of grape, but to be clear, we are reviewing the pure cane sugar version of their grape soda. Faygo didn’t offer a full description of their intended taste design, but did say they believe their glass-bottled grape soda is “perfect for a hot summer day!” Grape is one of those flavors I believe doesn’t have a lot of leeway in terms of taste, so I’m interested to see what one of craft soda’s big boys does with the flavor profile. 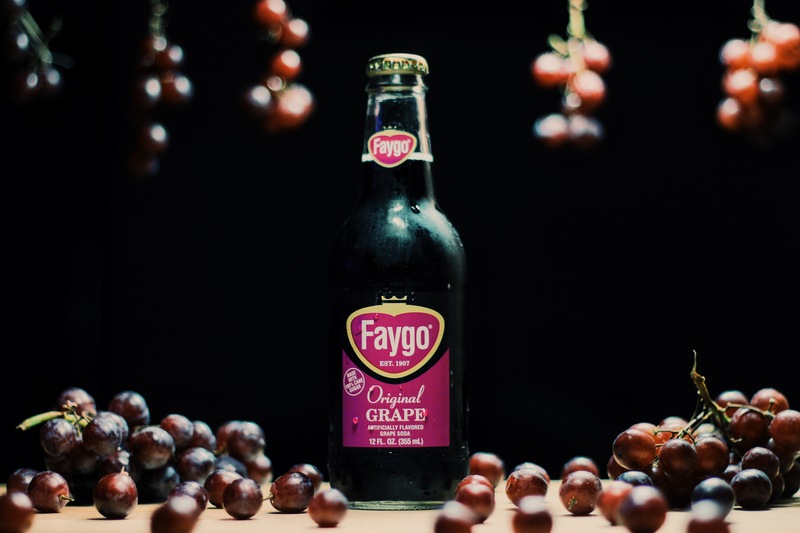 Where to get: Faygo Original Grape (the one in glass bottles with cane sugar) can be purchased online from the Faygo store or you can find it at Soda Emporium. Just a click away. 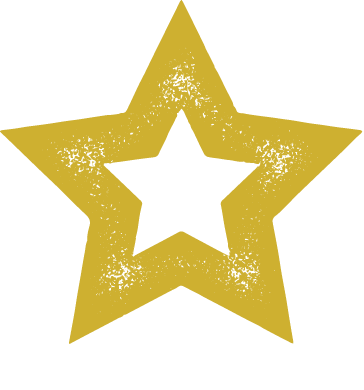 You can also use the company’s online locator to find your nearest physical retailer. Just remember, the pure cane sugar versions of Faygo soda are a little harder to find than those in plastic bottles made with corn syrup. Nose: Crushed up grape SweeTARTS. And also kind of like Dimetapp… but I like the smell (and taste) of Dimetapp, so don’t hate. Finish: Tangy, sweet grape that runs along the back of your tongue. Lingers for maybe 4 or 5 seconds before fading away. Rating: Faygo Grape tastes like an old-time, classic grape pop. Every time I take a sip, I can feel the nostalgia welling up inside me like a waterfall going in reverse. I was going to make a joke there, but it probably would’ve gone to some weird places. 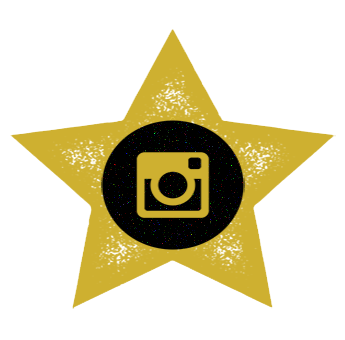 Here’s the deal, you’ll probably either really like this or you’ll hate it. This is one of those sodas that I doubt has much if a middle ground with drinkers. You have to understand what you’re first getting into. Faygo Grape is 12 oz. of sweet, candy grape flavor with a decidedly retro taste that tangy and sugary. It is not a farmer’s market artisan soda that tastes like real grape juice and has minimal carbonation. So if you want something that tastes more nostalgic in flavor, like Grape NeHi, yes, give this a shot. Personally, it’s just a little too sweet for my tastes to drink consistently. The mild tartness provides some relief, but I’d dial this down to maybe 40 grams of sugar instead of 50. Great idea though to channel that sugar rush: tomorrow before I max-out on bench press I’m gonna drink one of these and invite all the hot girls I know. Maybe even my wife. This may not something you put in your normal rotation, but it’s still a good soda and an excellent throwback to vintage grape pop. Crisp, clean, and full of big candy grape flavor. Definitely worth giving it a shot to form your own opinion. History: Remember that girl from middle school whose hair was a different color seemingly every week? The one who was cool with being weird? The one you work for now? We’re all a little different. The ones who truly stand out are the people that embrace it. And in the world of soda, being different is so hot right now. Faygo has always been a little weird. And they’re not afraid of it. 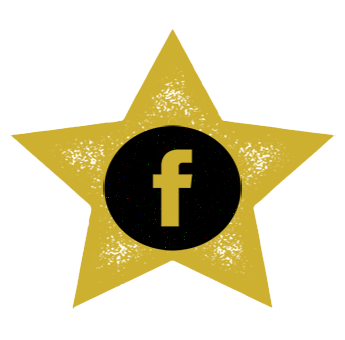 Marketing Specialist Dawn Burch says enthusiastically, “We offer flavors that other companies are scared to try…. We’ve become this cult classic somehow.” Indeed, Faygo is known for their variety. Currently, they boast over 60 different flavors, from the Rock and Rye we’ll be reviewing today to their newest creation, cotton candy. How do they do it? “We have a really talented team of scientists,” Burch says. I get the flavor giggles just thinking about it. But you might know the Detroit-based company for a slightly more insane *looks around for approval* reason. Insane Clown Posse. Juggalos. The dudes who paint their faces and rap… I guess that’s what you call it. A quick Google Image search on Faygo doesn’t disappoint. Juggalos often spray each other and get drenched with Faygo soda at concerts. Why? Who knows. Maybe that face paint has some strong chemicals in it. Burch mentions how Juggalos will often call the company for wedding orders so they can ensure a proper soda shower. I’ll save this idea for my first wedding. It should free up that weekend for me. Back to the soda. Ben and Perry Feigenson founded Faygo in 1907 and began basing their flavors on desserts. They’re been in the same manufacturing facility since the 1930’s. 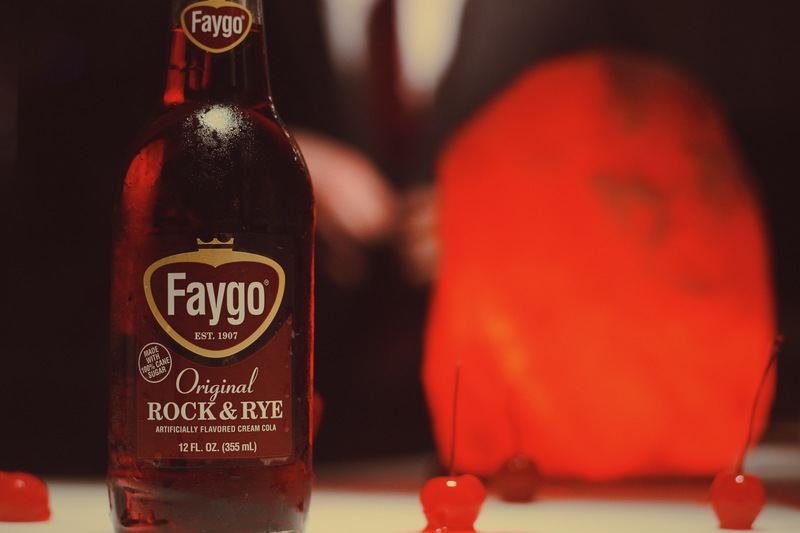 Today, Faygo is famous for its Red Pop and Rock and Rye. Both of these are part of the retro glass-bottle soda line Faygo produces that also includes four other flavors: cream soda, grape, orange, and root beer. These six sodas are all made with cane sugar. The rest of Faygo’s sodas do not contain cane sugar. The company is good for about one new flavor a year. We can’t tell you what their next one is… but it’s something you wouldn’t traditionally think of as a beverage flavor. Today, we sample Rock and Rye. Introduced in the 1920’s, it was named after the vintage rock candy and rye whiskey cocktail. We’re told this one doesn’t contain whiskey. We can’t guarantee it won’t by the time we’re done. Where to get: Faygo has one of the oldest online soda stores in the world. It opened in 1998, right about when Al Gore invented the Internet! Not really. But maybe. If you’re beholden to Amazon, they’ve also got your back. Faygo is nationally distributed. If you can’t find it, I’d be surprised. If not, call the company. They’re nice people who want their soda to go in your body. Nose: Classic pink bubble gum strips; cream soda. Taste: Vanilla; cherry cream; tartness; frothy carbonation. The carbonation in this soda really accentuates its flavors. It’s also the first noticeable element you taste. Tiny, frothy bubbles flood the mouth before a distinct creamy vanilla-cherry flavor enters the picture. That said, carbonation this noticeable may be a turn off for some. 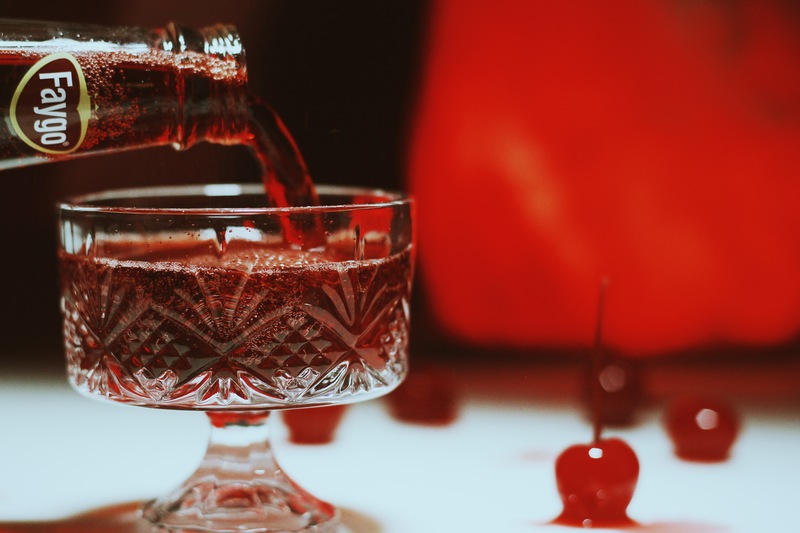 For a deep burgundy craft soda, Faygo’s Rock and Rye is rich with creamy vanilla as opposed to intense bubblegum as is often found in red creams. The bubblegum flavor in this soda is discreet, like a mirage in a desert of tiny, creamy vanilla bubbles. It’s there, but only as a complimentary flavor component. We were told that Detroit natives think of this as a strawberry cream soda, and the strawberry is there, but it’s really old-school cherry notes that we taste. This has the richness of a cream soda with the carbonation and mild fruitiness of a cherry cola. Not overly complex, but highly drinkable and a delight on the taste buds. Finish: Cherries and cream; deep and rich. The longer the drinker lets the flavors linger, they’re joined by creamy, mild vanilla undertones. Rating: We’ve written before that cream sodas can basically boil down to two flavor profiles: vanilla and/or bubblegum. Faygo’s Rock and Rye straddles the line between cola and cream soda and has the best execution of bubblegum I’ve ever tasted in a soda. It’s light, creamy, and rolled in a bed of sweet vanilla and mild cherry. Not too overpowering, but has enough flavor to delight the taste buds, while being undercut by a semi-tart cherry cola taste. It’s truly an achievement in soda flavor engineering. Easily one of the most drinkable sodas I’ve had in years. I’m delighted to say this truly exceeded my expectations. Unfortunately, I don’t think my date last night said the same to her friends about me. If you’re reading this, please return my texts. This probably leans more toward the cream soda side of things, though its carbonation is distinctly that of a cola. While the frothy little bubbles in this bottle serve to highlight its excellent flavors, they may also be its only downside. The bubbles can be intense and always greet the tongue before the flavors develop. It is a necessary buffer. But this is a minor complaint, and one I’m not personally making here. After all these years, what could be called Faygo’s most original flavor is arguably its greatest. Its staying power is undeniable and its deliciousness is unquestionable. It’s cream cola. If you love craft soda, just the thought that this combination is even possible to bottle should give you the tingles. We all need some soda tingles every now and then, right? Put this in your regular rotation.